Camping Le Parc de la Bastide es un camping en Saint-Rémy-de-Provence, Bocas del Ródano. El camping tiene plazas con cercos, sin sombra y parcelas con algo de sombra. Cabe alquilar caravanas fijas y Estudios. El camping dispone de de terreno de deportes. Este inspector visita cada año al Camping Le Parc de la Bastide y lo inspecciona considerando más de 200 servicios y otros aspectos importantes. El inspector es un trabajador de ACSI y no trabaja para el camping. Great site for visiting Glanum Roman ruins and walk into St Remy. Site facilities let down by useless showers which have only hand held shower fitment and range of 'outside'unisex toilets. Plentiful water taps and good free WiFi. We stayed here 3 weeks. Pro's: Large hedged pitches: No statics! What's good: large level pitches, friendly reception open long hours (closed 12-2 of course), modern sanitary facilities in a pleasant local style building, free wi-if which worked well, reasonably quiet at night, 15 min walk into the charming and picturesque old centre of St. Remy. But not so good: the campsite entrance is an untidy building site which looks abandoned, the owner frequently drives a noisy builder's van in and out of the campsite, the swimming pool was unappealing with a dirty bottom. A final small point - the shower heads were all hand-held with no attachment to the wall, making showering rather difficult! If visiting St. Remy in future, I think we would look for another campsite. The real attraction of this site is its closeness to Remy en Provence a pretty and very popular town especially on market day on Wednesdays. The site itself is work in progress with the owner building a new reception area which now is at the rear of the site. The pitches are level and large and some afford good shade. The swimming pool looked good. The toilets and showers are unisex and clean and look fairly new, a problem for me was the shower had to be held in the hand which although providing a good hot shower needed a small point in the wall to attach the shower head, but maybe I am being too picky. What the site urgently needs is a bar and a shop, you can buy bread, beer and water which are chilled in a fridge but maybe because the town was only 10 minutes walk away with many bars and restaurants the owner does not feel the need to provide this option. When you arrive at this site you have to drive through to reach Reception. We arrived early afternoon and Reception was closed - prob because of time of year -so we sited ourselves and went to office at 5 pm. The site is well laid out and most of the pitches are very large and spacious. Toilet block is unisex as are the showers although latter could be split as there are two separate areas. Always plenty of hot water. Could do with some hooks in the showers - have to hang towel over door. There is a lovely swimming pool at the site entrance which stands alone and looks lost! However some work going on here and thinking it might be new Reception they are building? Wi-fi is free and available 24/7 with no password required. Bread can be bought daily at Reception. We intended to stay 2/3 nights but have stayed for 8 as weather good, St Remy a lovely little town and best of all is the walking. Campsite has photocopies of walking map but better to buy original from Tourist Office. Also cycling in area. Lovely peaceful campsite on the outskirts of St. Remy, about 10 mins walk from the town centre. Looks like the campsite is in the process of being modernised. Large pitches. Really clean facilities. We will most defiantly be back next year. This site is well placed for exploring the Alpilles, St Remy and the surrounding areas. We only intended for a short stop but ended up staying 8 nights. The pitches were generally very spacious. St Remy is approx 10 minutes walk at the most, plenty of good restaurants and fresh food shops. The site had fresh bread each day. ¿Desea reservar u obtener más información sobre su Camping Le Parc de la Bastide? Puede hacerlo mediante los datos siguientes. A7 sal. 5 Avignon-Sud, de Noves D30 a St-Rémy. En St-Rémy en la segunda rotonda gire a la izq. dir. centro ciudad. El camping está después de 50 m, a mano izq. 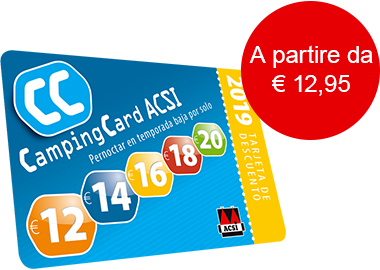 ACSI Eurocampings reenvía su solicitud de información al "Camping Le Parc de la Bastide".